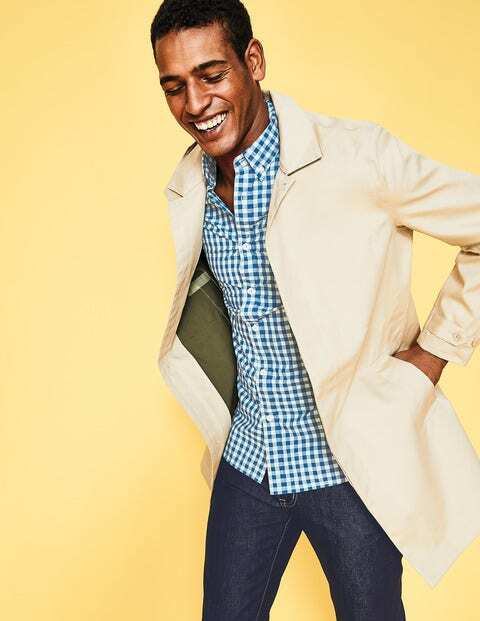 Introducing the Boden way to tackle rainy commutes: our contemporary take on the classic trench. Made from pure lightweight cotton, it's on double-duty to keep you cool and dry in sudden storms. The bonded internal seams and the detachable hood make sure your suit (and hair) stays pristine. Pockets on the side, chest and inside come to the rescue when you’re travelling light.